HONG KONG – Mar. 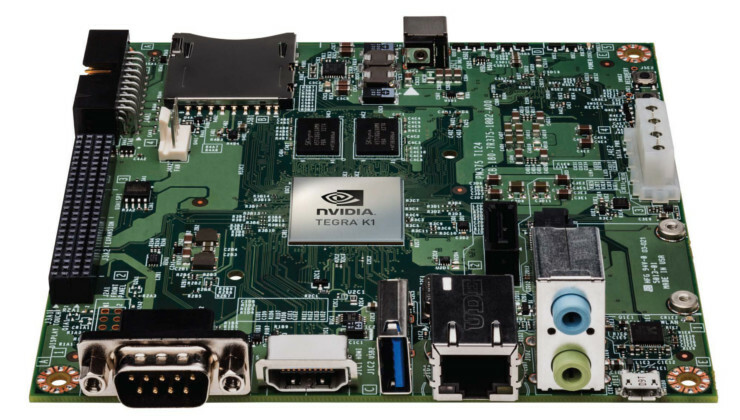 25, 2014 – ZOTAC International, a global innovator and manufacturer of graphics cards, mainboards and mini-PCs, today releases the Jetson TK1 development kit for hardware, software, students and enthusiast developers in Europe. The Jetson TK1 enables developers to take advantage of the extremely powerful NVIDIA Tegra K1 SOC with amazing Kepler-based graphics to create visually stunning games and mobile devices. “ZOTAC is very excited to distribute such an exciting platform for developers and enthusiasts. The NVIDIA Tegra K1 is very powerful and Jetson TK1 is the quickest way for people to get ahold of the phenomenal SOC for testing and development purposes,” said Carsten Berger, Senior Director, ZOTAC International. The NVIDIA Jetson TK1 is a perfect platform for compute and CUDA development. An NVIDIA BSP and software stack that supports OpenGL 4.4 and the NVIDIA VisionWorks toolkit is available. Expect the Jetson TK1 development platform to ship in May to ZOTAC partners in Europe. Conrad Electronic will carry the Jetson TK1 platform for continental Europe and Maplin for the U.K.
It’s time to develop with ZOTAC and the Jetson TK1! - CUDA libraries:- cudart, cufft, cublas, curand, cusparse, npp, opencv4tegra for registered developers.